Tom Orzo is a life-long New Yorker, born and raised, he has taken his passion for New York, in all its diversity, and turned it into his daily work. 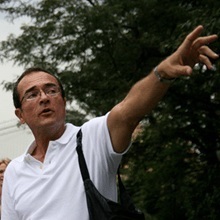 A licensed NYC tour guide, Tom enjoys showing people around not only the five boroughs but the surrounding areas — from the far reaches of Long Island to the mountains and river views of the Hudson Valley. Hans Von Rittern is a born and raised New Yorker, to an all German family. His passion for showing people New York “through my eyes” came at an early age when his European relatives came to visit and he has been enthusiastically showing his city ever since! As an avid photographer he shows you New York through his camera lens and in person. 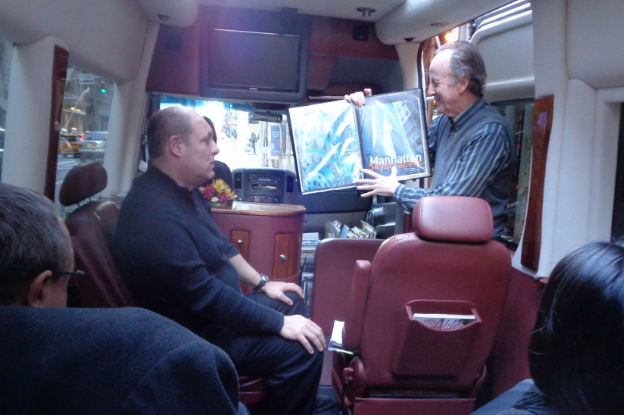 Sterling City Tours provides tours and transportation for you in and around New York City — in a VERY cool van! Our fully-custom, one-of-a-kind private Mercedes Benz touring coach seats up to seven guests, and is designed for maximum comfort, safety, and visibility, with a glass roof for the ultimate sky light views. So tall you can comfortably stand upright inside, yet so narrow that we have the pleasure of escorting you down some of the oldest, most historic, (and narrowest!) steets in NYC, where tour buses never go — and most New Yorkers have never been. A true VIP experience. includes guided tour and Sterling motor coach (4-hour minimum).